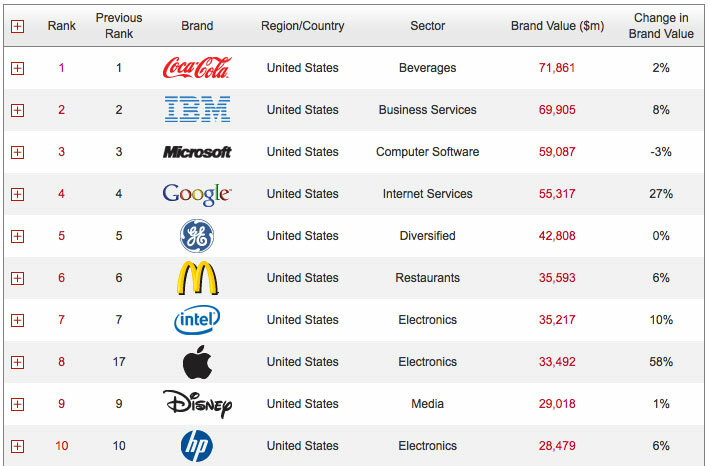 Earlier today, Interbrand released their annual ranking of the top 100 brands in the world. 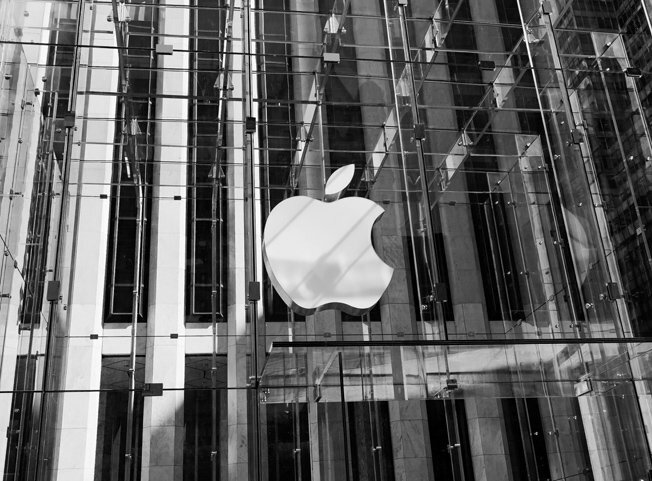 While most of the top 10 brands stayed the same as last year, Apple did not. With an incredible 58% change in brand value, Apple went from 17th place last year to break into this year’s top 10, coming in at number 8. While Apple’s surge is definitely impressive, it really isn’t all that surprising after looking at the amazing year the company has had. It will be very interesting to see where Apple will be at this point next year, considering that Apple will get all new products this year, and maybe even a breakthrough product, the iTV (Apple television set).